One of the I.B.A. official cocktails, the Pisco Sour is a South American cocktail touted by both Chile and Peru as their national drink. Both countries also claim ownership of it's creation, however, most facts point to the cocktail being invented sometime between 1915 and 1924 by American bartender Victor Vaughn Morris at Morris' Bar in Lima, Peru. 1.5 Oz. Pisco 1 Oz. Lemon Juice 3/4 Oz. Simple Syrup 1 Egg White Shaken with ice then strain into an Old Fashioned glass and garnish with a few drops of Angostura Bitters. Peru's version uses Peruvian pisco Key lime juice, syrup, ice, egg white, and Angostura bitters. The Chilean version uses Chilean Pisco, Pica lime but excludes the bitters and the egg white. DIRECTIONS: Combine all the ingredients, except the bitters and the garnish, in a cocktail shaker without ice and shake vigorously for 15 seconds to emulsify the egg white. Add a cup of ice then shake vigorously again for another 15 to 20 seconds. Strain into a chilled Old Fashioned glass, express the lime slice over the cocktail, drop in then tap the bitters onto the foamy cap and slip the pineapple chunk on the glass rim. Enjoy! 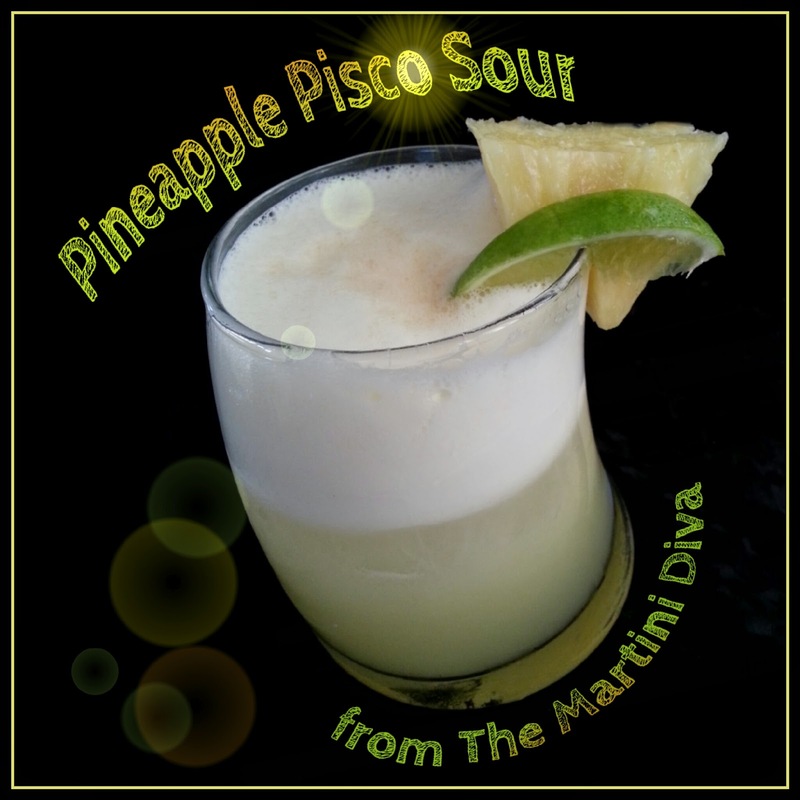 The first Saturday of February is National Pisco Sour Day. Back in my youth I was a big fan of SweetTart candies. I still like the combination of tart and sweet but, as an adult, I like it better in a cocktail. 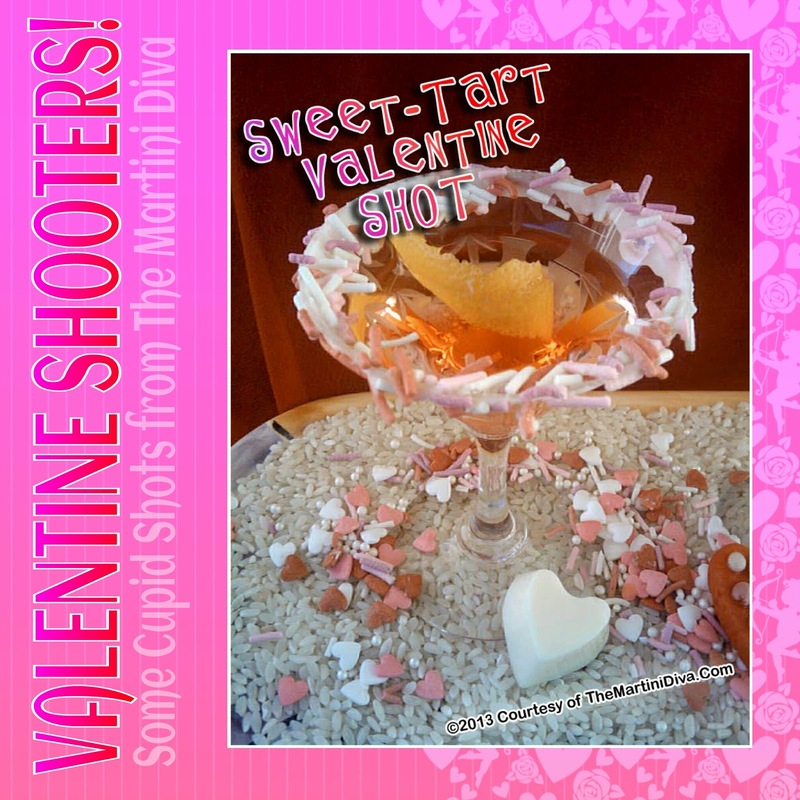 Those flavors were the inspiration for this fun Valentine's Day shooter. Dip the rim of a cordial glass into some Grenadine then into the sprinkles. Add the pomegranate vodka and lemon juice to a cocktail shaker filled with ice and shake until chilled. Pour into your glass, float the Grenadine and drop in the lemon twist. *I use my own Homemade Grenadine (Pomegranate Syrup) instead of the bottled varieties because it's not loaded with chemicals or corn syrup and it actually tastes like pomegranate. Try my recipe and see if you don't agree, it's also great on ice cream and pancakes!